DAVV Admission 2019 Non-CET – Devi Ahilya Vishwavidyalaya, Indore will release notification for admission in the following UG and PG programmes being offered at its University Teaching Departments for the session 2019-20. The admission to various programmes will be strictly on the basis of entrance test and Counselling. Interested candidates can read the complete details regarding DAVV Admission 2019 such as application form, eligibility criteria, selection process etc. on this page. DAVV offers admission for the various UG & PG programmes for the academic year 2019-2020. The candidates are advised to apply for admission only if he/she fulfills the eligibility requirements. The onus of checking appropriate eligibility lies with the candidate. 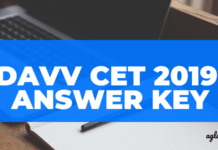 The complete details of DAVV Admission 2019 Non-CET along with application form and schedule can be checked from here. Minimum percentage and number of seats for admission to programmes being offered by the University. A relaxation of 5% in the eligibility criteria shall be admissible to the bonafide Scheduled Caste (SC), Scheduled Tribes (ST) applicants of Madhya Pradesh only. A relaxation of 5% ineligibility will also be applicable to Persons With Disability (Divyang) as defined by Government of Madhya Pradesh. The candidates awaiting their results of qualifying examination can also apply for admission but the candidate has to submit the final mark sheet of qualifying examination by August 2019 or the date as notified by Government of Madhya Pradesh. Candidates who have passed their qualifying examination from Universities other than Devi Ahilya University are required to submit Eligibility Certificate issued by the Devi Ahilya University, Indore after the admission. Admission will be given only in first semester / first year of the course except in case of lateral entry in B.Pharm. Age limit: As per the directives of Government of Madhya Pradesh, There is no upper age limit for admission to various programmes. Guidelines and rules for admission framed by Government of Madhya Pradesh regarding age limit will have opted in toto from the issue of the date. 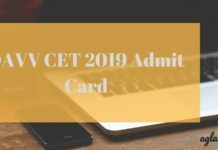 Application Form of DAVV Admission 2019 Non-CET for various UG, PG courses will be available on the official website. Interested & eligible candidates can also fill the application form online for the admission in DAVV various courses through the direct link, which will be provided here for your ease. If applicants wish to be considered for more than one programme, then they must apply in separate application form for each programme. The entrance test for the programmes will be conducted by the concerned University teaching department/Schools/Institute/Centre. Applicants are required to submit the hard copy of application form along with required documents to concerned Department/Schools/Institute/Centre along with the application fees of Rs. 750/- (Rs. 400/- for SC/ST candidates) per programme, which must be paid through a demand draft, drawn in favour of “Registrar, D.A.V.V., Indore” payable at Indore. Diploma after 10+2: Interior Designing / Dramatics / Performing Arts. UG Programmes after 10+2: B.C.A./B.C.A. (Hons. ), B.A. (Performing Arts), Bachelor of Social Work (B.S.W. ), Bachelor in Physical Education and Sports (B.P.E.S.-Three years. B. Pharm. (Lateral entry admission) after Diploma in Pharmacy. For More Detail of DAVV Non-CET Admission candidates can refer to 2018’s – Information Brochure. 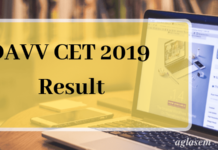 Insofar, Official details for DAVV Non-CET Admission 2019 has not been announced yet. Information on this page is based on last year information brochure and for reference purpose only. As soon as Devi Ahilya Vishwavidyalaya will release the official details, information will be updated here.